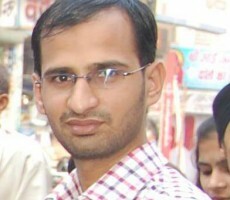 If you are in Blogging then you must have heard about Kulwant Nagi from Haryana. I am very happy that Kulwant had answered all the questions very kindly. He had inspired me a lot. I always read his latest posts on his blog and I must say he is very proficient blogger . He always share his best techniques to his readers. I hope I tried my level best to ask questions to him and he delivered his best. So Lets start with interview !!! Please introduce you to my blog readers? Explain who are you apart from blogging life? I am from a small city Fatehabad in Haryana, India. I am a normal human being with abnormal dreams. I started blogging in September 2011 with the intention to generate some leads for my multi level marketing business but soon it turned into blogging. I am a beauty lover who loves perfection. I believe in pleasing people with neat and eye catching things. This can be clearly seen in my blog themes, all are neat and clean. I am a die-hard music lover and love to dance my fingers on my laptop with music beats. Please define terms “blogging” and “make money from a blog” your experience on them. See everyone starts blogging with the intention to make money online only (in 80% of the cases). I also started blogging to make money online as my dreams were so big that I couldn’t fulfill them with my job. Very soon I found that making money from a blog is not that much easy as it seems. To make a blog successful you have to work as hard as possible. Working Smart + Hard is the key to get success in blogging. What are your thoughts on bloggersideas.com? I saw your blog is not an old blog but the strategies which you are using at start will give you huge exposure in future. I am a big lover of reading about people’s life and knowing how they got success. My favorite time pass is to stumble Entrepreneurship category on StumbleUpon. So your approach is awesome and your readers are going to love this. How many days you have been blogging? What do you feel about blogging? It’s been 2 years when I started blogging. But Blogging Cage came into existence on 15th January 2012 when I moved all data from KulwantNagi.com to BloggingCage.com. In blogging, everyone is here to make money and create his/her identity in particular fields. Some people are making less, some are making more but at the end we are on the same boat. One thing which I am missing in blogging is a strong community. I want to see Indian bloggers making their identity at world’s platform. It’s our bad luck that no blogger from India is into core internet marketing or product launching. How many blogs do you have? Which blogs do you follow regularly? Currently I am managing 3 main blogs. On Blogging Cage I am writing at my own where on other blogs I have hired writers. These days I am reading more stuff from CopyBlogger.com because I feel that I am lacking in writing. I am following such blogs to hone my writing skills. What are your tips on traffic generation? Please reveal some must use techniques to get more traffic to new blogs? Getting traffic depends on niche to niche. If you are in entertainment niche then you can build a Facebook Page and on regular basis you can share some interesting pics on your wall. Most of the times people love such interesting pics and they share them on their walls. So you can generate hell lots of traffic on your blog. If you are into tech niche then you will have to do proper keyword research to find great keywords. These are the keywords which are getting searched by people, so you can write quality stuff around them and get good traffic from search engines. For a new blog you will have to connect with more people. You can start this with Facebook and Google Plus. These are many groups on Facebook and many communities on Google Plus, so you can share your article on regular basis in these groups and communities. How to get prepared for next Google updates and stay safe? To be frank – No one has exact answer for this question. As we can see in previous updates of Google, they want quality stuff and want to deliver exact information with high quality to end users. Some cases studies on big blogs revealed that writing long articles would be the only key for long team survival. Start writing quality stuff on your blog forget about doing any Keyword Stuffing. Soon you will start getting good results and Google will love your blog forever. What is secret of your success? I don’t consider myself as a successful person. Success is something which cannot be achieved; you will have to continue your work to make it more powerful. In short – Success is a Journey, not Destination. As I already told I am a big fan of reading about people and learning from their life experience. So this simple activity is making be better person every day. Could you tell us best way to earn money online even for new blogs? For a brand new blog it might be little tough, but once you have a blog atleast 3-4 months old and having 50+ articles written on it then you can monetize it. I used the method to contact advertisers, where I was sending mails to each advertiser personally and requesting them to buy paid review on my blog. For a newbie this activity was not a shame or sinful because I wanted my survival and I did it very well. Best recommended ON Page SEO techniques? Here are few things which you can keep in mind. Make sure you have written 500+ words article. Include your main keyword in H1, H2 and H3 tag in the article. Try including your main keyword in bold, italic and underline. Include your main keyword in first 50-100 and last 50-100 words. These are few methods which are working great for me. How to attract new bloggers to new blog as you did in commenting and traffic? In starting days I used to do lots of comments and made relations with many awesome bloggers. If you want traffic from comments then you will have to write EPIC comments, because such comments stand out in the crowd and people feel curious to read that particular blog. Only commenting cannot drive traffic if you are not doing it in proper way. Do you use Black hat SEO tactics in a white hat way? Like Scrapebox. Yes, I am using Scrapebox, but I am using it in white hat way. People use this tool for bulk commenting and then get too many backlinks in a short time. I am using this tool to find links from relevant blogs and then comment on those blogs manually. Do you think 3rd party blog post links and eBook submissions are playing vital role these days? If you are mentioning some great authority links in your article then it seems normal to Google. Even I did study on few high ranking keyword and found that those all were having one or two high authority links included in their article. High authority links here I mean WikiPedia, Mashable, TechCrucnh, LifeHacker, Engadget and many other big blogs. Do You Share Your Strategies Transparently With the SEO Community? I shared everything which I know. I am still a learner and haven’t done anything big till the time, but still I believe in being transparent. If you are teaching everything honestly then people will start loving your blog and every time they will come back to visit you blog with the intention to learn something new. What is your message for my reader? I will just say – Keep working hard to achieve your goals. There will be many obstacles on the way, people will try to demotivate you, society will hate you and there will be many things which will stop you to go ahead. If your heart says that you are doing work honestly and you are dedicated for your goals, then don’t listen to anybody. After some time your work and success will speak and those people will feel stop uttering. All the very best for your blogging career and keep working hard to contribute your part in this world. Got the Inspiration from this skilled Affiliate Marketer & Proficient Blogger, now boost your Blogging Journey with these strategies !! You can also Join BloggersIdeas on Facebook & Google+ for getting similar updates. 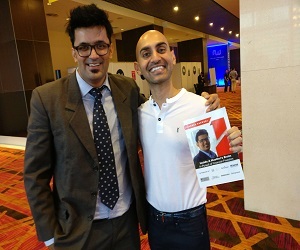 Kulwant is an interesting figure and thanks for publishing the interview here. Oh yes, he has inspired so many bloggers. One thing with him is he’s very open to help and that makes the secret of success in blogging. Hi estine, I am glad that you like this interview. Kulwant had inspired many bloggers around us. Ideally, the information bloggers share is accretive. Bloggers need to pay much attention to the subjects they choose to write about. It’s the only way to attract and retain subscribers. Thanks jitendra for sharing this interview with kulwant nagi.Very inspirational and informative interview. Hi swaraj, I m glad that you like his interview. Kulwant is very hard worker . Awesome tips, Thanks for sharing such useful information in your blog. A great content for getting the proper information regarding SEO, nice post. Finally I’ve found a interview of a great interviewer. Thanks Jitendra for sharing thia awesome interview with us. Thanks Jitendra Vaswani for sharing this interview with Kulwant Nagi.Very inspirational and informative interview. Hey Pavitra, I am glad that you liked it. Thanks Jitendra For such Informative Interview. I am a retired banker & wish to join in the virtual field for the existanse with no past experience & academic linkage. Is it possible to exist? may I have some suggestion from you please. Thanks for sharing this interview with Kulwant Nagi.To inspirational and informative interview. Kulwant Nagi is one of the great Blogger and he is really inspration of Many Bloggers. This article with Kulwant Nagi is such brilliant. I feel good to learn many thing by Kulwant Nagi.